New system increases safety, efficiency and energy savings with new pneumatic conveying system. When Brian Miller, Plant Engineer for Mrs. Miller’s Homemade Noodles Ltd., which produces 40,000 pounds of noodles per week, switched from handling 50-pound bags of flour to handling 2000-pound bulk bags, he knew he would need to integrate a new conveying system into his process. The former conveyor--an older pressure-based system which transported the flour from a hopper through a volumetric feeder and finally to a mixer--would no longer satisfy the company’s needs. Mrs. Miller’s Homemade Noodles Ltd., located in the middle of an Amish community in Fredericksburg Ohio, is a family-owned and operated business dedicated to producing preservative-free, homemade-quality products with the best ingredients, for over 30 years. Miller’s goal was to implement a system that would efficiently convey 20 tons of very fine flour per week, and eliminate the need for manual filling. 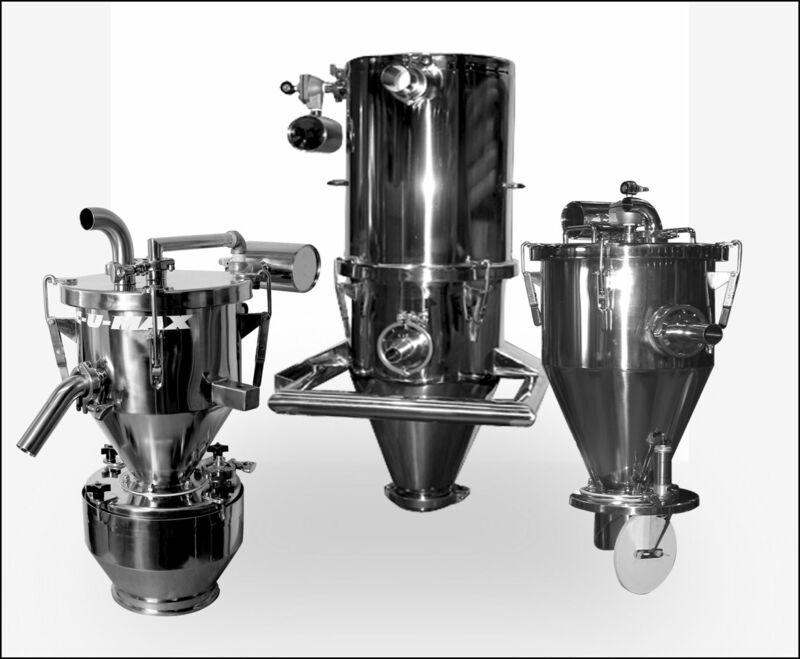 After some research, Miller found he could achieve this goal with a pneumatic conveying system from Vac-U-Max, a pioneer in vacuum solutions since 1946, and one of the few suppliers who routinely designs and builds custom and semi-custom pneumatic conveying systems and support equipment for conveying, batching and weighing dry materials. While fine powders may pose conveying issues for some manufacturers, because Vac-U-Max has tested thousands of difficult to convey materials and is an expert in material characteristics, they are fully equipped to meet customer demands. One way the conveyor manufacturer handles problems with fine powders is by applying a high polish finish to the systems' interior and exterior, reducing the amount of powder sticking to the system. In addition, to increasing safety and efficiency in the plant, Miller also likes that the new system is more compact, saves energy and reduces noise in the plant. “Space is always at a premium at any plant facility,” says Miller. 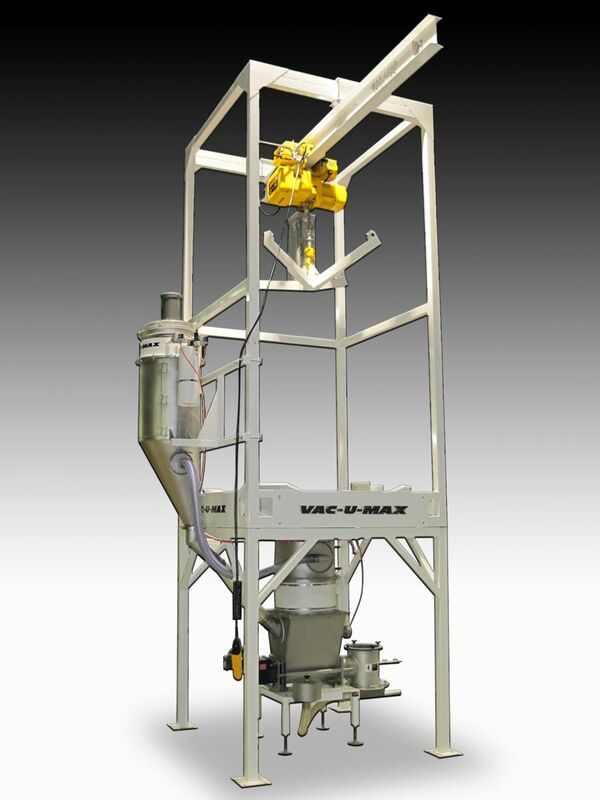 “The Vac-U-Max is more compact and allowed us to eliminate that big hopper,” which is something that Miller has found to be of great benefit. In addition to the systems having a smaller footprint, the systems have fewer moving parts because they work on compressed air instead of electricity. “We used to have a couple of electric motors running in the process, but now there are none,” says Miller. Beyond reducing the noise by eliminating the motors, Miller is confident the unit reduces energy costs. One of his main concerns regarding the compressed air was the flow rate required by the system. “We move about one cubic foot per conveying cycle and I didn’t want to overwork the compressed air system, but it has not been a problem—it has worked very well,” he says. The conveyor manufacturer is also one of the top rated companies when it comes to customer service and Miller can attest to this by his experience of working with the manufacturer to solve the only issue he had while implementing the conveying system.